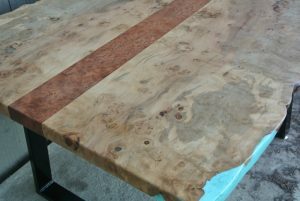 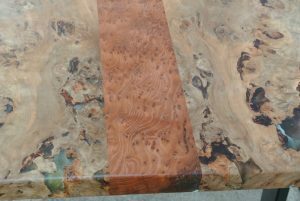 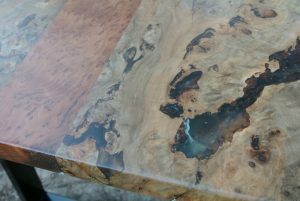 We recently built a beautiful custom desk made from a pair of our book matched Tree of Paradise slabs with a Redwood burl insert in the center. 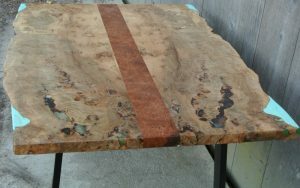 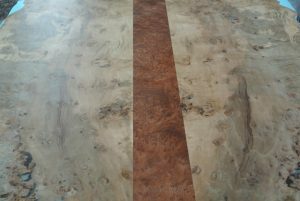 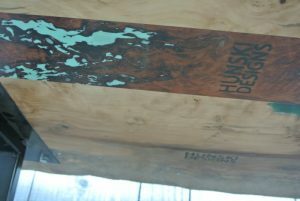 All 4 corners were filled with crushed Jade colored epoxy resin, which really gives this piece a ton of character. 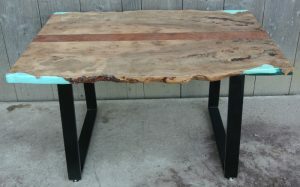 The top sits on our sled style base that we had powder coated gloss black. 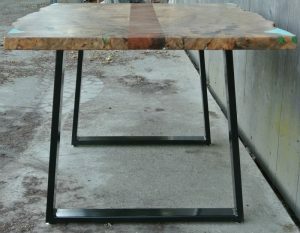 This desk measures 53″ wide, 40″ wide by 30″ tall.